Transitions enthusiast H.E. 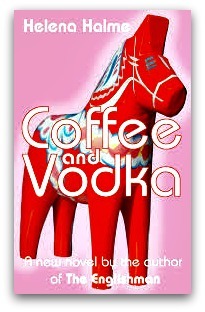 Rybol consults with a world expert on cross-cultural communication for this month’s column. 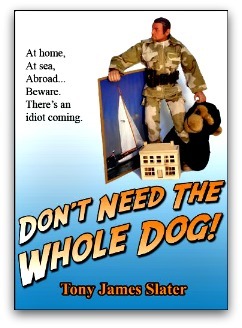 Hello, Displaced Nationers! This month I’d like to introduce you to Joe Lurie, Executive Director Emeritus of the University of California Berkeley’s International House. If you’re not familiar with it, I-House is a multicultural residence and program center that serves Berkeley’s students, alumni, and the local community. Its mission is to foster intercultural respect, understanding, lifelong friendships, and leadership skills to promote a more tolerant and peaceful world. Founded in 1930, Berkeley’s is part of a network of International Houses worldwide. In addition to having led this esteemed cross-cultural institution, Joe has worked as a teacher, trainer and consultant. 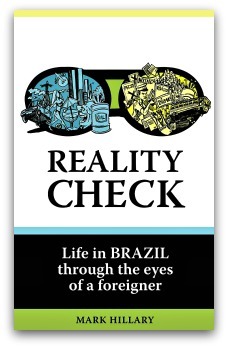 Last year, he published Perception and Deception: A Mind-Opening Journey Across Cultures, which contains the sum total of his knowledge about cross-cultural communication. Joe also shares stories on his YouTube channel, along with information about how our own narratives can lead to incorrect perceptions. Tune in to watch him speak about an Italian student who thought his Sikh roommate was Jesus, the various meanings slurping and belching can have—and much more! But for now, let’s hear a couple of Joe’s stories about gift giving, along with his theory of cultural prisms, the kind that can blind you once you exit your comfort zone. Warning: Joe’s culture shock toolbox may require donning safety specs! Hi, Joe, and welcome to Culture Shock Toolbox. Tell us, which countries have you lived in and for how long? I lived in Kenya as a Peace Corps Volunteer for three years; directed international educational programs in various parts of France (Strasbourg, Toulouse, Dole and Corsica) for four years; directed a study abroad program in Ghana for six months; and studied in Montreal, Canada, for two years. I have also traveled widely in Asia, Africa, Europe and Latin America, New Zealand and Australia as part of my career in international and intercultural education. I recall, while living in Ghana, offering a gift to an Ashanti chief with my left hand, which caused a very angry reaction from the chief and the villagers who were present. Little did I know then that offering something with the left hand is virtually taboo in many parts of Africa, the Middle East and Asia. The left hand in these areas is considered dirty, used frequently to clean oneself after a bowel movement. Before entering another culture, it’s helpful to become familiar with its values, taboos and related behaviors, in contrast to your own values, taboos and behaviors. It is also useful to spend time with someone from the countries to be visited, asking them what they see as strange, offensive, or even unacceptable in your culture. This kind of research makes it easier to pause and suspend judgement when encountering a strange, inexplicable behavior beyond the horizons of your experience. I recall an Indian friend offering me a beautifully wrapped gift with two hands—a signal that I should accept the gift with two hands, as is the custom in many parts of Asia. Also, many Americans will open the gift immediately in front of the giver, eager to know what’s there—and perhaps even feigning joy if the gift is not particularly desirable. Because I had read about and experienced the discomfort that opening a gift in front of the giver could cause, I paused and chose to open the gift in private later, in order to prevent any possible sign of disappointment that might cause the giver to lose face. Travelers and new expats would do well to realize that their cultures function like narrow prisms that distort their perceptions of what lies beyond their cultural ponds. As far as the Culture Shock Toolbox goes, I would advise that you take out your chisel and keep chipping away at these prisms to include facets of other cultures. The original prism never completely goes away, but you shouldn’t let it prevent you from taking in all you can from all the people you meet in other places. It’s enlightening as well as enriching. Thank you so much, Joe, for taking the time to share your culture shock stories with us! Your description of one’s native culture as a prism is spot on. A prism takes light but then bends and distorts it. And I think you are right, we ought to chip away at these prisms, or at least become more aware of their refractive effects in producing cultural biases that limit our understanding of other cultural realities. We would all, whether we travel or not, do well to heed that advice, given that so much of our world is multicultural these days. Readers, in light of Joe’s advice, why not take a moment and ask yourself: what is my cultural perspective and what does it make me see (and not see) in others? And now if you want to learn more about what Joe has to say, I recommend you visit his author site and/or consider buying his book for further inspiration (and entertainment!). H.E. 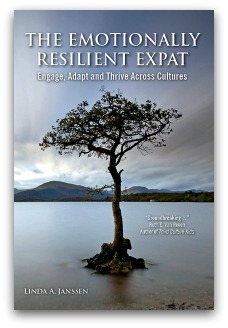 Rybol is a TCK and the author of Culture Shock: A Practical Guide and Culture Shock Toolbox. She loves animals, piano, yoga and being outdoors. 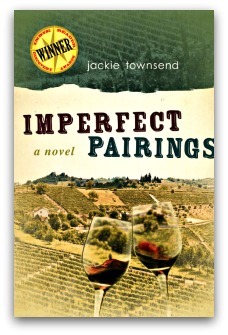 You can find her on Twitter, Linkedin and Goodreads. 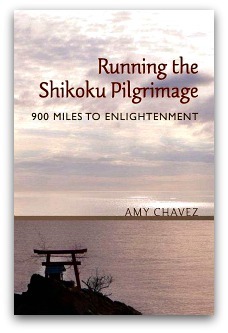 She recently launched a new Web site and will soon be publishing her second book, on repatriation. 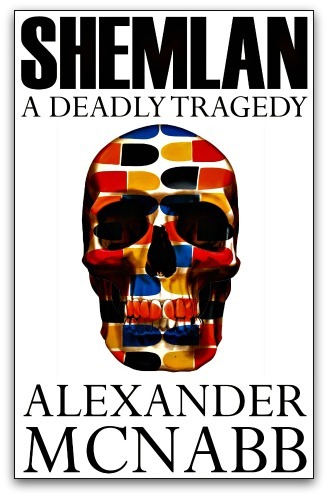 Photo credits: Book cover and author image supplied; all other photos from Pixabay. Welcome to the third installment of “TCK Talent,” Elizabeth (Lisa) Liang’s monthly column about adult Third Culture Kids who work in creative fields. As some readers may recall, Lisa—a Guatemalan-American of Chinese-Spanish-Irish-French-German-English descent—has written and performed a one-woman show about being a Third Culture Kid, or TCK. 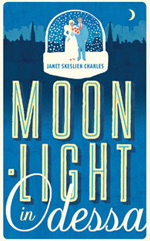 It debuted in LA in the spring, and I had the pleasure of seeing it during its too-short run in New York City last month. It was stupendous! Greetings, readers, and thanks, ML, for that vote of confidence in my work. But it cannot compare to the output of today’s guest, a woman of extraordinary talents. Wendy Laura Belcher is a professor of African literature at Princeton University as well as a published memoirist, produced playwright, popular workshop leader, and author of the best-selling Writing Your Journal Article in Twelve Weeks: A Guide to Academic Publishing Success. 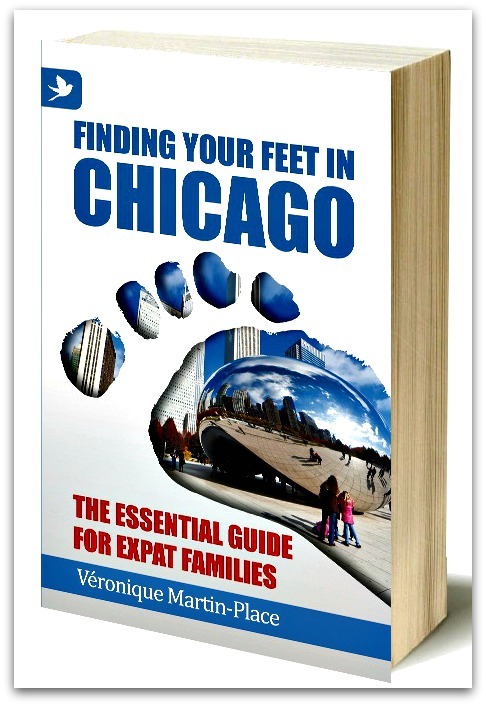 Wendy grew up in Ethiopia, Ghana, and the USA, and has been a writer since childhood. 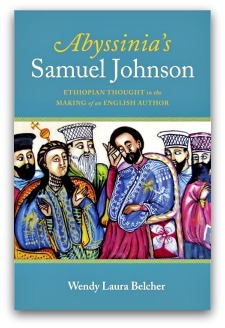 Her most recent book, Abyssinia’s Samuel Johnson: Ethiopian Thought on the Making of an English Author, is a finalist for the African Studies Association’s 2013 Ogot Award (to be announced in Baltimore at the end of next month). Welcome to The Displaced Nation, Wendy, and thank you for joining us. I’ve known you for years and yet don’t know as much as I should about your TCK childhood, so am happy to take this opportunity to learn more. You are the daughter of an American dad and a Canadian mom. What’s the story behind why your family moved to Ethiopia and Ghana? My father is a physician and my mother always loved to travel, so she convinced him to move to Ethiopia. Her idea was that he would teach and do clinical work at a public health college in Gondar, and she would be the college librarian. My first memories are of Ethiopia. I moved back to the US when I was 14. But my specific geographical trajectory is as follows: Philadelphia (birth), Boston, Seattle, Gondar (Ethiopia), Seattle, Accra (Ghana), Seattle, and South Hadley (Massachusetts). After that I lived in Tamale (Ghana). Then back to Washington DC, Accra, Los Angeles, Princeton, Addis Ababa (Ethiopia), and now Princeton again. That’s an impressively peripatetic life! When and where were you happiest while growing up? As a child, I loved Ethiopia the best, perhaps because it was the first place my family went and perhaps because, as a child who loved reading, it seemed like a magical place. There was a castle in my backyard as well as oxen threshing grain like in the Bible. On the throne was a descendant of King David. 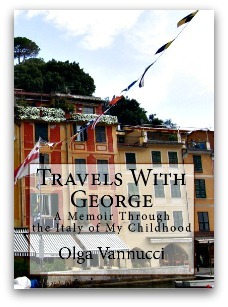 From a child’s perspective, it was like living in a book. How did you find your first “repatriation” to the United States, at age 14? I never got used to Seattle, it was very parochial in the 1970s when we moved there, and the weather was too gloomy for someone who had spent a significant part of her childhood in the tropics. Has your relationship to Africa evolved as an adult? As an adult, I settled in the US and not Africa, returning to Africa only a few times until 1997, after which I started going every third year or so. Since 2009, I’ve gone every year to Ethiopia. I thought I might settle in Africa, but as an adult my relationship with Africa was more vexed. That is, what could my role in Africa be as a white American woman? I wasn’t particularly interested in “helping,” as it seemed to me that Africans were perfectly adept at solving their own problems and only didn’t do so because of all the “help” they received from the West. But also, I was in a bind. In the US I often didn’t feel a strong sense of calling in my work, but I felt more satisfied emotionally. 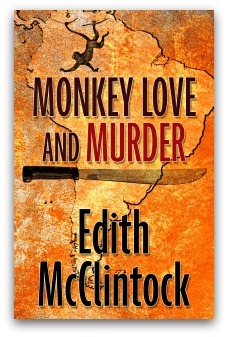 In Africa, I felt a strong sense of calling in my work, but I was often lonely. The problem for me as an adult in Africa as a single woman without children was the lack of female friendships. In the 1980s and 1990s I found it difficult to find in Africa other career women like myself with whom I would have something in common. One of the reasons I’ve found it easier to return to Ethiopia and have done so regularly in the recent past is that I’ve found some good Ethiopian female friends. Where do you think of as “home” these days? My mother always thought that my father never really had a sense of home as a particular place, because he had an identical twin brother. It was the presence of one other human being from the beginning that meant home was someone to him, not somewhere. He didn’t really know what loneliness was, she thought. I may be somewhat similar albeit for different reasons. I don’t think of anywhere as home. I lived in Los Angeles for 20 years and loved many things about it, but I mostly think of it as a place where my network of affection is. It isn’t the place so much but the people who make it a kind of home. At the same time, I still have good friends in Seattle, and my family of origin is still there, so it is also a kind of home. Are you like many TCKs in finding yourself drawn to people of similar backgrounds? Almost all my friends are people who live straddling some boundary: either geographically, being from elsewhere or spending significant time outside the US, or racially (growing up as minorities). I am almost never in a room with people who mostly look like me. I often wonder if TCKs who pursue writing careers do so because the story is entirely in their hands as opposed to the experienced upheaval of their itinerant childhoods. 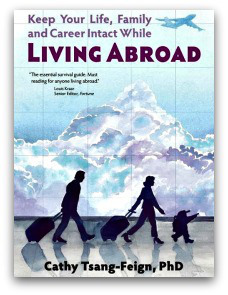 Did your TCK upbringing influence a) your desire to be a writer and b) what you wrote about? Growing up in Africa, I was surrounded by literary culture. In Ethiopia, a country with a 3,000-year-old written civilization, people read illuminated manuscripts on sheepskin bound with wood. In Ghana, hand-written epigrams adorned most vehicles, and my father’s Ghanaian colleagues traded bon mots in Latin. At school, I would pick a promising library shelf and work my way through it from left to right. I wrote my first novel when I was nine, titled Shipwrecked at Silver Lagoon. I had set myself the task of writing the best title for a book ever and, after I came up with this, decided it was too good to go unwritten. It was about two English girls in the 17th century who, after their ship is wrecked off the American coast, go on to discover what happened to the disappeared colony of Roanoke: it had moved into an underground, underwater kingdom. The book ground to a halt on page 40, perhaps because, as I tried to articulate issues that were all too real to me (the loss of home and the entry into the hybrid colonial world), my imagination foundered on the demands of the adventure form. After that, I wrote for my middle school and high school newspapers, where I was the editor. 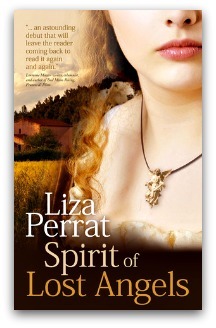 I was shy, partly due to all the moving and not being sure how to fit in, so I spent most of my time reading. 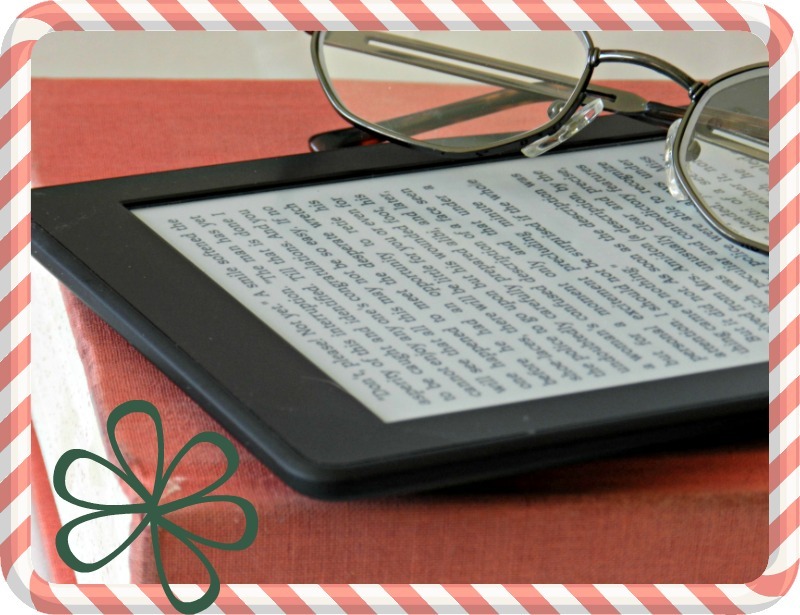 Reading allowed me to immerse myself in a world where I could watch and not be watched (or judged). It also allowed me to develop skills in “reading” people and situations, which is essential to surviving so much moving. 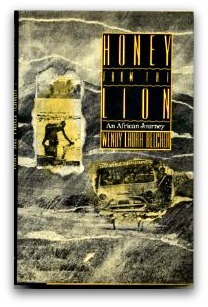 Tell us what drew you to write your memoir, Honey from the Lion: An African Journey, when you were in your twenties. I had enough credits to graduate from Mount Holyoke in three years so I spent my junior year back in Ghana. While working for a nonprofit organization that was spreading literacy and translating the Bible into local languages, I spent a weekend in a village with an Irish Bible translator. A series of events transpired, the impact of which was so powerful I decided I wanted to write about it. 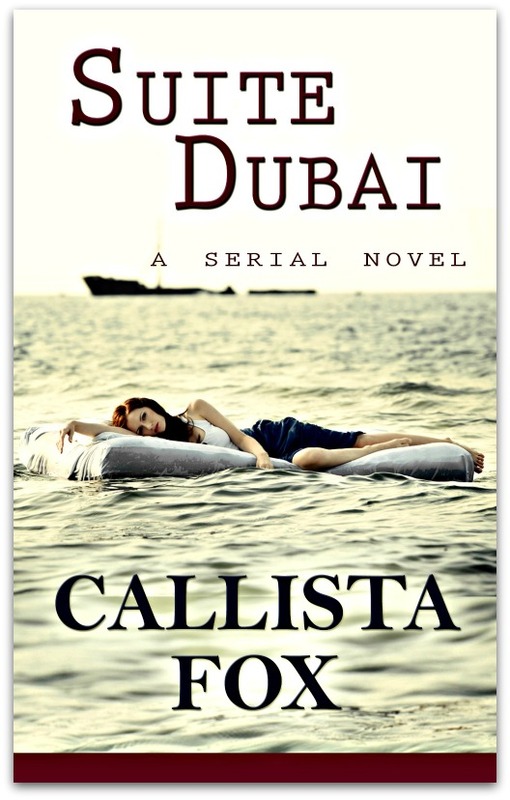 It was a gift: the story was so fascinating that I didn’t worry about writing it. Even if I wrote it poorly, I thought people would find it compelling. Do you ever go back to the memoir now, and if so, does it resonate very differently due to the passage of time? I can’t bring myself to read the book now. It seems like a different self wrote it—someone who was more religious for one. Congratulations on Abyssinia’s Samuel Johnson being selected as a finalist for a prestigious academic award. Please tell us what inspired you to write the book. In 2002, I was talking with an Ethiopian friend about reading Samuel Johnson’s Rasselas, an eighteenth-century fiction he wrote about an Ethiopian prince. 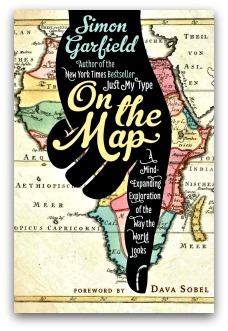 This Ethiopian friend surprised me by saying that he had read the book and quite liked it. When I asked him why, he said the book was “very Ethiopian.” I started to correct him, but then I began to wonder if he could be right, if a book written by a European could be African—in particular, if it could be animated by African discourse. It’s my hope that my book will be convince others about the importance of African thought to the European canon. At Princeton you teach courses that I wish had been offered when I was in college, like “Growing Up Global: Novels and Memoirs of Transnational Childhoods” and “Model Memoirs: The Life Stories of International Fashion Models.” You also teach workshops around the world to aid faculty in publishing academic articles. Please tell us the countries in which you’ve taught the workshops. The workshops have taken place in Norway, Sudan, Malawi, Ethiopia, Indonesia, Canada and all over the USA. What led you to teach academics about how to write for publication? I did two master’s degrees in the early nineties and I struggled in writing my classroom papers. What did these professors want and why did some papers succeed and others didn’t? I decided not to go on for a doctorate and when people asked me why, I said I just didn’t feel like I got the hang of being a graduate student and in particular about how to write in graduate school. To my surprise, I found that most other graduate students felt the same way and were as confused and uncertain as I had been. Then UCLA Extension asked me to teach a writing class. I had always sworn I would never teach, but I think you grow when you do things you are terrified of, so I agreed and found that three of my first six students were academics looking for help with their writing. UCLA Extension agreed to let me restructure the next class around writing for academic journals. The restructured class was a massive success and changed my life. Within a few years I was teaching “Writing and Publishing the Academic Article” twice a year at UCLA to graduate students, where the class was in great demand, as well as at other universities and institutes around the world. 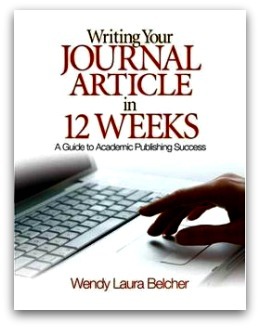 I wrote the workbook Writing Your Journal Article in Twelve Weeks: A Guide to Academic Publishing Success for people who could not take the workshop. Turning back to your writing, can you tell us what you are working on at present? 1) The Life and Struggles of Our Mother Walatta Petros: A Translation of the Earliest African Biography of an African Woman. Thirty years after the death of a revered African religious leader who led a successful nonviolent movement against European incursions, her Ethiopian disciples (many of whom were women) wrote this vivid book, full of dialogue and drama. The original text, which was written in 1672 by Africans for Africans in an African language, is unknown in the United States (Walatta Petros does not have a Wikipedia entry, for instance). Thanks to the Fulbright US Scholar Award that I held during my third year at Princeton, I was able to spend ten months in Ethiopia devoting myself to archival research. I worked on the translation with Michael Kleiner, a leading scholar and translator of Ge’ez. We believe it will electrify the fields of early modern and gender studies. 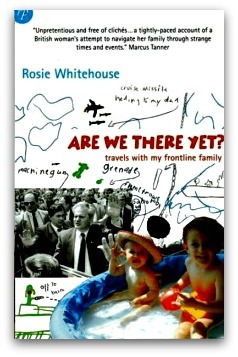 3) A Wardrobe of Selves: The Literature of Transnational Childhoods. Based on my life experiences, observing those of my TCK friends, and reading lots of memoirs, I am thinking of writing a book about memoirs by those who have spent their childhood crossing boundaries (in terms of culture, nation, state, language, gender, school, etc.). It would attend to how the narrators like Barack Obama, John McCain, Edward Said, Eva Hoffman, Gloria Anzaldua, Diana Abu-Jaber, Alice Kaplan, Gene Luen Yang, and Mohsin Hamid construct meaningful identities through narrative. These writers—usually considered separately, as part of American ethnic literatures like Arab American, African American, Asian American, or Latino—often negotiate the intricacies of identity in similar ways and should be considered together. That is, this would be a broad comparative project on diasporic memoir in the context of American ethnic literature. Thanks, Wendy! You are so prolific, it’s an inspiration to all of us creatives! If we could accomplish just a fraction of what you’ve already done, what a life we’d be leading! Readers, any questions or comments for the amazing Wendy? Please leave them below. And…see you next month! STAY TUNED for tomorrow’s post, when we hear from an international traveler who has started up her own business in New York City, catering to expats. 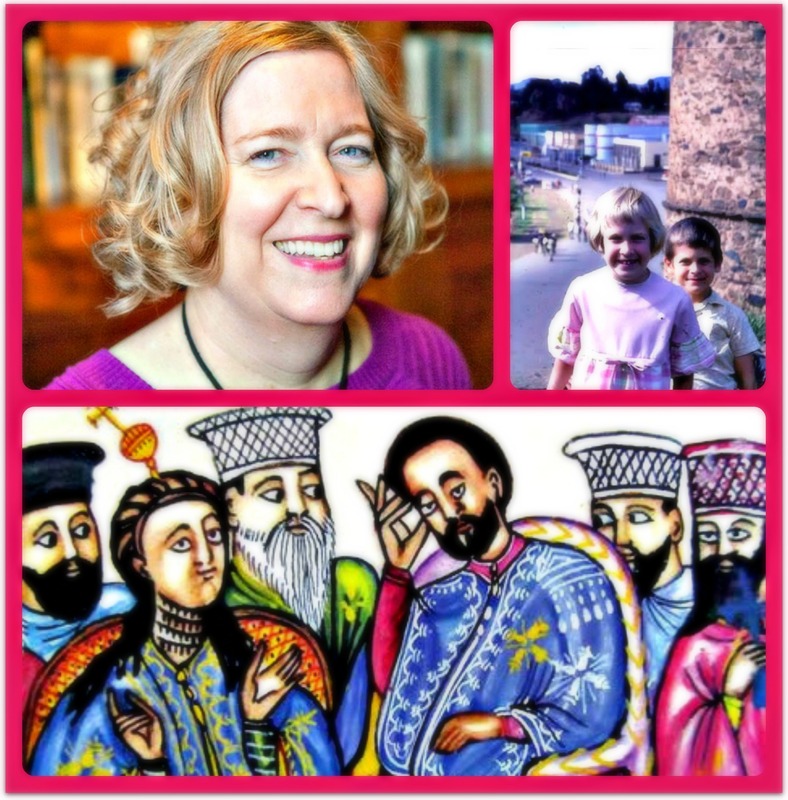 Images: Wendy Belcher; Wendy with her brother in front of a castle in Gondar, Ethiopia; detail from the cover of Wendy’s latest book, Abyssinia’s Samuel Johnson. 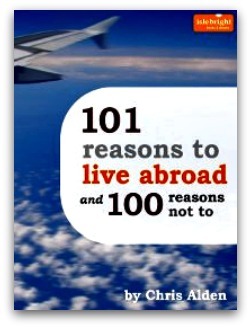 Hello again, expats, global nomads, serial wanderers, world citizens, and internationals! As suggested in my post of last week about mentors and muses, it being January, we have resolved to think Big Thoughts about displacement. To help us figure it out, I propose that we turn to the works of Big Thinkers. I’m talking about the kinds of people who take the kind of life we lead — living here, there and everywhere — for granted, and are more interested in questions of what we’re all doing on this planet and can learn from each other and from ourselves, for that matter. Synposis: A primer on increasing one’s mindfulness, based on the lessons imparted by British master sleuth Sherlock Holmes. 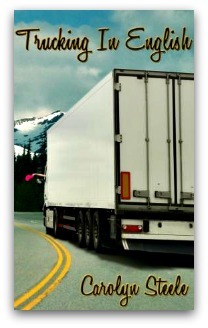 Author’s displaced credentials: Born in Russia, Konnikova arrived in the United States at age 4. 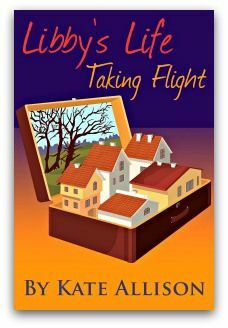 Though a Third Culture Kid, she has adapted very well to the American scene. She was educated at Harvard, writes the “Literally Psyched” blog for Scientific American, and is doing a PhD at Columbia University in psychology. That said, she has found a muse in an unexpected place: in the fictional works of the terribly Victorian Sir Arthur Conan Doyle. 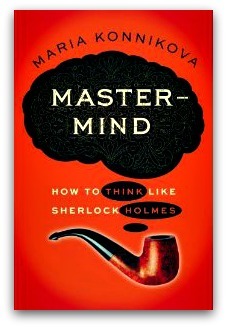 Thinking like Sherlock Holmes isn’t just a way to enhance your cognitive powers. It is also a way to derive greater happiness and satisfaction from life. Synposis: An account of how people in traditional societies — the New Guinea Highlanders, the Inuit, the Amazonian Indians, the Kalahari San — live and what they can teach the rest of us. 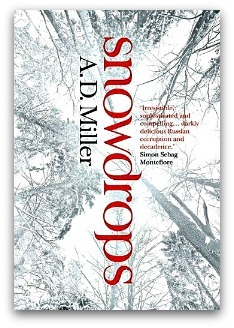 Author’s displaced credentials: A polymath and one of the foremost writers of popular science, Diamond was born in the United States, got a degree from Cambridge University, and has had careers in physiology, ecology (specializing in New Guinea and nearby islands), and geography. With the publication of Guns, Germs, and Steel: The Fates of Human Societies, his most popular work to date, he became known for his mastery of global history. We get ideas about how to bring up our children. We get ideas about how to have a better old age. We get ideas about how not to die of cancer, heart attacks and stroke. 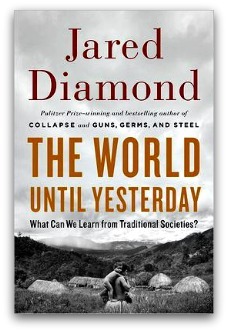 How we heard about it: An interview with Jared Diamond in Smithsonian Magazine. Synposis: An examination of some of the customs imported by America’s newest residents. Author’s displaced credentials: A journalist and Third Culture Kid (her mother was from Mexico and father from Ukraine), Claudia Kolker once worked as a freelance reporter in El Salvador from 1992 to 1995, where she covered the Salvadoran postwar recovery as well as social issues throughout Central America, Cuba, Haiti and the Dominican Republic. She has also reported from Japan and India. She now lives in Houston. 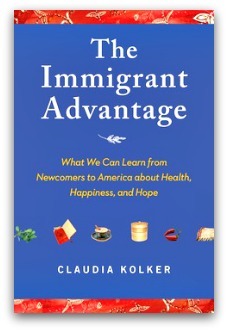 Why it’s stimulating: Kolker was spurred to do her research after discovering that most immigrants to the United States, even those from poor or violence-wracked countries, are physically and mentally healthier — they actually live longer! — than most native-born Americans. In a work that in some ways parallels Jared Diamond’s (#2 above), her book takes us on a tour of immigrant households in the United States — Mexican, Hispanic, Chinese, Korean, Vietnamese, Jamaican, etc. — and shows us that there are things about their values we should not only respect but emulate. I don’t know about you, but I find it refreshing to think that privileged Americans like us, who choose to displace ourselves to other lands, could stand to learn some major life lessons from the forcibly displaced. Kudos to Kolker for turning the tables! How we heard about it: From a recent interview with Kolker on PBS Newshour. Synposis: A history of mankind’s love affair with maps, beginning with Ptolemy’s world map (one of the 100 diagrams that changed the world); moving through the “cartographic dark ages,” which lasted for about a thousand years; and culminating in our modern obsession with maps, which in fact dates from 1450s Venice, when the atlas became a craze. 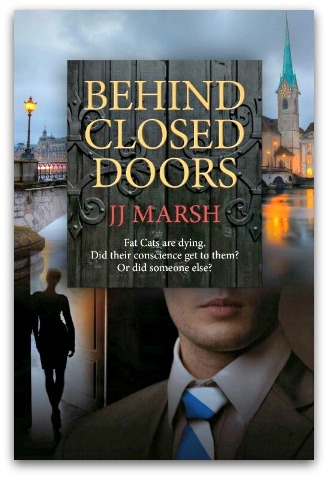 Author’s displaced credentials: By splitting his life between London and St. Ives, Cornwall, Garfield could be described as a “domestic expat” within the UK. 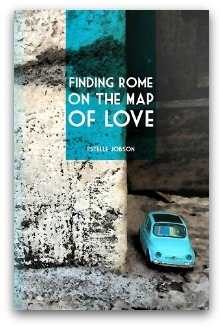 Maps relate and realign our history. They reflect our best and worst attributes — discovery and curiosity, conflict and destruction — and they chart our transitions of power. Even as individuals, we seem to have a need to plot a path and track our progress, to imagine possibilities of exploration and escape. How we heard about it: From a 1 Jan 2013 post by Maria Popova on her Brain Pickings blog. Synposis: An examination of the ancient philosophy of “cosmopolitanism” — the idea that all human ethnic groups belong to a single community based on a shared morality — and the influence it has had on the Enlightenment, the French Revolution, and the UN’s Universal Declaration of Human Rights. Author’s displaced credentials: Appiah is the product of a cross-cultural union: his mother was an English author and daughter of the statesman Sir Stafford Cripps, and his father a Ghanaian barrister and politician, who was constantly exhorting his children to remember that they were “citizens of the world.” Raised in Ghana and educated in England, Appiah has taught philosophy on three continents and is now a professor at Princeton University. 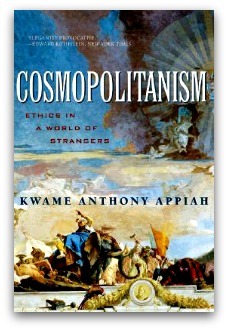 Cosmopolitans suppose that all cultures have enough overlap in their vocabulary of values to begin a conversation. But they don’t suppose, like some Universalists, that we could all come to agreement if only we had the same vocabulary. 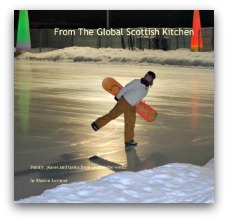 How we heard about it: The book was a Global Niche Bookshelf pin, by GlobalNiche.net, on Pinterest. Passport: USA — but I’m planning on starting the papers for my Italian passport soon (my grandparents were born there). Overseas history: Australia (Sydney): 2008. I’ve also backpacked through western Europe (for partying and food! 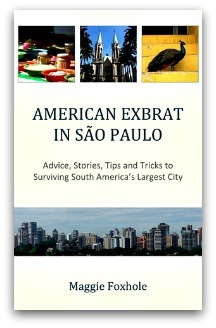 ), South America (for surreal landscapes and hiking trails), and Southeast Asia/China and Ghana (for volunteer projects). 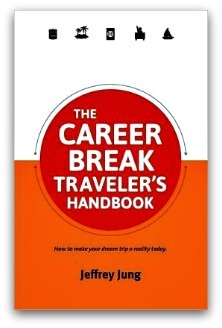 Occupation: Freelance travel writer. I have my own site and also write for Gadling, Viator and Matador, among others. Cyberspace coordinates: Jessie on a Journey — Taking you beyond the guidebook (travel-zine); @JessonaJourney (Twitter handle); Jessie on a Journey (FB page for backpacking community); and Jessie on a Journey (Pinterest). What made you leave the United States for the Land of Oz? I chose Australia for studying abroad because I wanted to be able to communicate in English — it was my first time going abroad alone. On your site you describe yourself as a “natural backpacker.” How did you find living in one country? It’s so different living somewhere than just traveling to it. When you have a part-time job, class schedule, gym membership, local hangout, go-to grocery store, etc, you really begin to feel a strong connection to a place. Sydney is such a great city. That said, I did not give up my backpacking habit entirely. I also traveled a lot through Australia when studying! Tell me about the moment on your travels when you felt the most displaced. I had many moments like that when I did a homestay for a month in Ghana, in West Africa. I was doing orphanage work, and absolutely loved the experience — but the culture is just completely different. Especially in city areas, it’s very loud and chaotic, and people will shout at you and grab your skin to feel if it’s real. They don’t get many tourists, so they’re just curious and wanting to get to know you — but sometimes it got a little too intense. When have you felt the most comfortable? In Sydney. I actually called my family crying the night before my flight back to New York, saying I had a new home and would not be returning. I had this camaraderie with my neighbors and so many connections to the community, I really felt like a local. You may bring one curiosity you’ve collected from each of the countries where you’ve traveled or lived into The Displaced Nation. What’s in your suitcase? You are also invited to prepare one meal based on your travels for other members of The Displaced Nation. What’s on the menu? Appetizer: Locro, a thick soup with potatoes, avocado, cheese and vegetables from the Andes. Main: A pesto pasta with some kind of meat mixed in from the Cinque Terre in Italy. Dessert: Salzburger Nockerl, a sweet soufflé from Austria. Drink: Malbec wine from Argentina. I wonder if you could also add a word or expression from one or more of the countries you’ve visited to the Displaced Nation’s argot. “No worries” from Australia. Such a great phrase for life. I have it tattooed on my foot! This week you received a “Food Alice” from the Displaced Nation for your post about the first time you tried cuy, or guinea pig, in Ecuador — you said your dinner reminded you of your pet guinea pig, Joey, named after a school crush. So, does food play a big role in your travels? For me it’s about trying new things. It doesn’t need to be in the fanciest restaurant or prepared by a Michelin chef, just something truly local. For example, in South America while many of the other backpackers went to guidebook-rated restaurants, I always opted for the tiny, simple, dimly-lit local hangouts. I ate 2- and 3-course meals for a $1, and the food was fresh and local. It was exactly what everyday people in the community were having, and that was important to me. If you were to design a world tour based on food, what would be your top five recommendations? 1) Mendoza, Argentina — try asado (barbecued meat) with a glass of Malbec. 2) Cinque Terre, Italy — try the pesto pasta that I served to you in my meal! 3) Naples, Italy — try the pizza. 4) Cuzco, Peru — try the cuy (guinea pig) or, if you’re too squeamish, the lomo saltado: strips of marinated steak served over white rice and with French fries. 5) Munich, Germany — try the brätwurst. It is like no other sausage I’ve ever tasted, and tastes so much better in Germany! To be honest, I’m not so sure about going to Cuzco for cuy. Really? I love it. 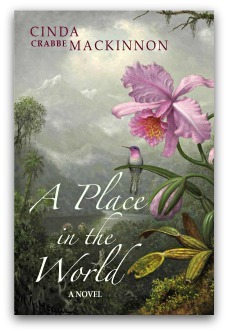 I’m planning to go back, and possibly move, to Peru or Ecuador in March. I’m already looking forward to getting my fill of cuy again! 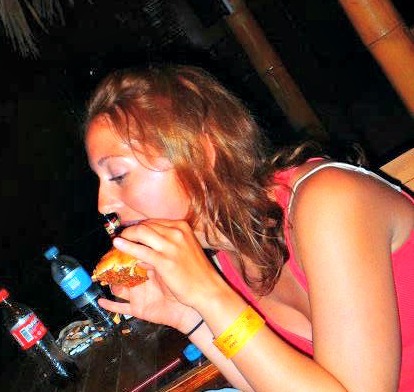 img: Jessie Festa enjoying one of the biggest and best empanadas in all of Peru, at the Point Hostels in Máncora (May 2012).